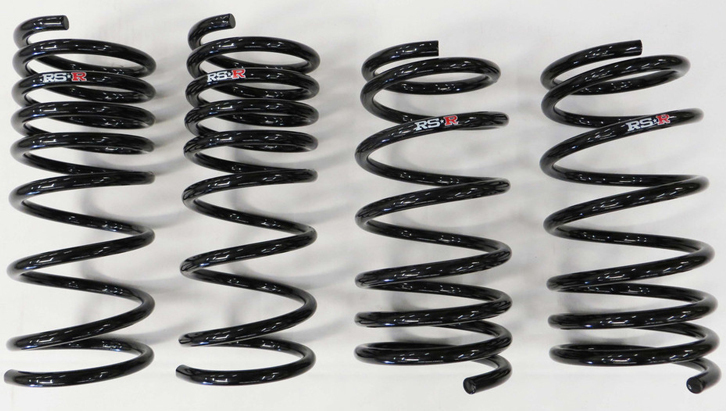 The RS-R Lowering Springs for 2015+ VW GTI VII are designed with your cars suspension, looks and performance in mind. This means that the RS-R springs for your car are properly designed to enhance the factory handling characteristics and ensure that improving looks aren't the only thing changed when lowering your car. RS-R has created two types of lowering springs, the Down Sus and the Super Down. RS-R Down Sus provides a lowered stance vs factory, and improves handling to fulfill the needs of increased handling and looks. While the RS-R Super Down lowering springs lowers your car even more than the Down Sus, making for an aggressive look and feel. Whether you choose Down Sus or the Super Down, know that RS-R is committed to providing comfort and performance that is matched to your vehicles characteristics-which factor in the suspension geometry, shock dampening, spring rate and ride height. This dedication that RS-R takes helps to establish comfort and performance that was made specifically with your vehicle in mind.